Amber was a wonderful dog. She was a wonderful member of our family. She came to us through some friends who were looking to give her a home since they were going through a divorce. We went to see her that night after she stopped running around playing guard dog I noticed 1/2 her ear was missing. She was so cute it just melted my heart. Once we got her home that evening we began to notice some of her fear and realized that at one point she may have been abused, and I made it a mission to protect her and give her love she may have not had before. After a whole summer of mishaps and snuggles I made the call to get her enrolled in some obedience school, and it helped a lot. She was more well behaved, and actually interested in listening. She enjoyed her time with us after that even more. She was there for me through the death of my grandfather, my grandmother, and my husbands grandmother. She was also there when I was going through a difficult pregnancy, and sniffed our son proudly when we brought him home for the first time. Even though she was only with us for a few short years she became a guardian and an amazing protector for me and my family and she will be in our hearts forever. Cara, first of all let me tell you how sorry I am the loss of your beloved Amber. It is so very hard to lose a wonderful German Shepherd at any time but your memories of Amber will help you through it all. Your memories of Amber will stick with you forever and help through your grieveing process. 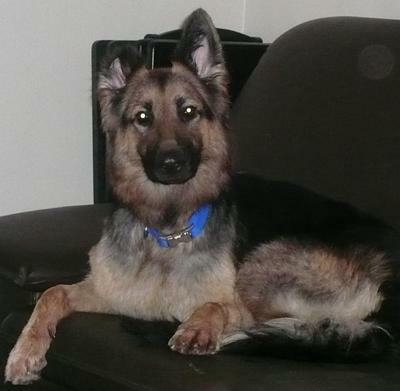 Thank you so much for sharing your story about your German Shepherd Dog here with us all. Again, I am so very sorry for your loss. "How do I do that? ", you might question. It's fairly straight forward to do - just click on the link that says "Click here to post comments" and if you want to examine what other individuals have mentioned you can do that too at the same spot. It's easy enough to do - just click on the link that says "Click here to post comments" and if you want to read what others have said you can do that too at the same place. Rest in peace, sweet angel Amber.